Continental, a German tyre and technology company, has been recognised for its intelligent door system as a CES 2019 Innovation Award honouree in the Vehicle Intelligence and Self-Driving Technology category. The CES organiser CTA (Consumer Technology Association) announced the honourees during its annual CES Unveiled New York event, a tech event that offers a sneak peek of the products and trends expected at the upcoming CES 2019. CES 2019 will showcase Continental’s state-of-the-art technologies such as the intelligent door brake system and the smart autonomous door. Supporting convenient opening and closing operations, while stopping vehicle doors from uncontrolled slamming, the intelligent door system features obstacle detection functions that lead to high levels of safety in road traffic scenarios and prevent dents and paint scratches. The smart autonomous door system is also a necessary function for automated driving to deal with different practical situations and allow passengers to get in and out conveniently. It supports autonomous opening and closing of vehicle doors and protects passengers from crushed fingers, hands or belongings with its anti-pinch protection. “The CES Innovation Award is both a confirmation and an incentive for our developer team. Ultimately, we want to keep increasing convenience and safety for drivers and all other road users with our solutions. 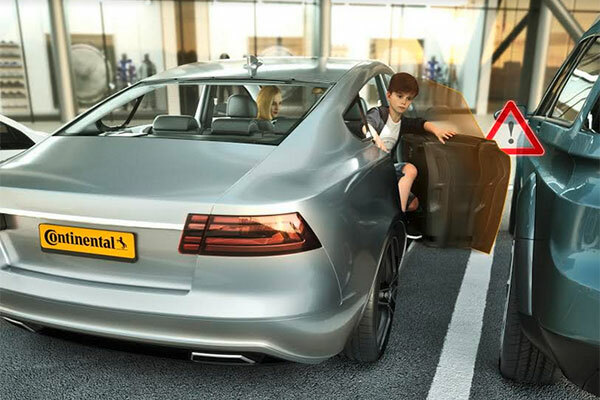 By means of its connection with our passive start and entry system (PASE), the vehicle doors open automatically and contact-free at the right time. They also recognise the respective user and open on the right side,” said Johann Hiebl, head of Continental Body & Security business unit. The smart autonomous door is in continuous communication with the integrated static obstacle detection. If the sensors identify a stationary obstacle, then the intelligent door automatically stops the opening process. In assistant mode, the system makes the door easier to operate by reducing the amount of physical effort required and allowing for any opening angle. This significantly increases convenience when the vehicle is on a slope as the door no longer slams shut and can be opened or closed in an uphill position by the assistant function. Optional functions such as adjustable door speed, slam protection and end position damping can further increase convenience and relieve pressure on the door and chassis mechanisms.